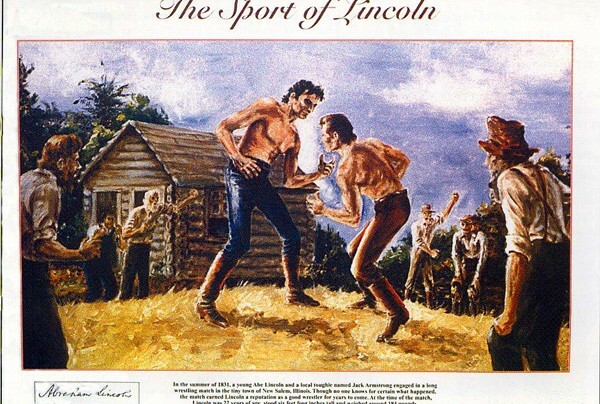 In the summer of 1831, a young Abe Lincoln and a local toughie named Jack Armstrong engaged in a long wrestling match in the tiny town of New Salem, Illinois. Though no one knows for certain what happened, the match earned Lincoln a reputation as a good wrestler for years to come. At the time of the match, Lincoln was 22 years of age, stood six feet four inches tall and weighed 184 pounds.